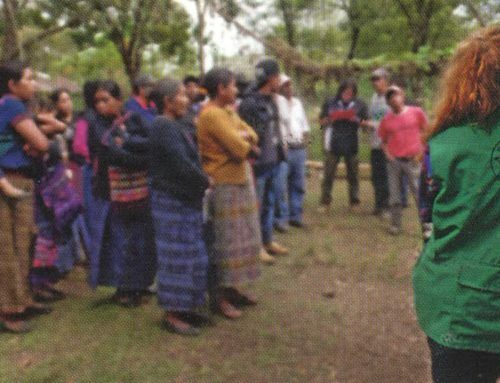 Since the mid-1990s, members of the NISGUA network have provided a physical international presence to threatened human rights defenders and communities in the Ixcán. The river Chixoy, which runs from the south of Guatemala all the way up into Mexico, is the life that runs through both the geography of the region and the continued struggles that define our work there. 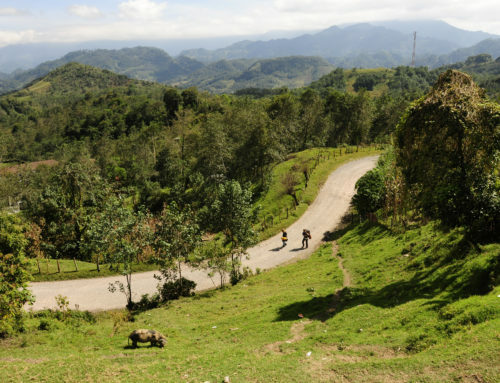 The Cobán-Ixcán region is in the extreme north of Guatemala next to the Mexican border. Cobán is the municipality located on the East side of the river Chixoy. Uspantán. On the West side of the river and in the extreme Northern region is the Ixcán, which is where we will also be working. Surrounding these municipalities are many smaller communities connected often only by foot-trails through the jungle, pickups and small buses, or boats along the Chixoy. Many communities in this region were victimized by the Guatemalan military during the armed conflict. For example, in 1982, a pueblo in the north of the Ixcán suffered the largest massacre in the history of Guatemala. On March 14th of that year the army arrived in this pueblo corralling the people into the town marketplace with gunfire, and on the 15th the army burned the Evangelical Church with people trapped inside. On that day, 324 Guatemalans were mass murdered. This history is not a forgotten page, this particular massacre only occurred 33 years ago, and its repercussions still echo into the present and future of this region. 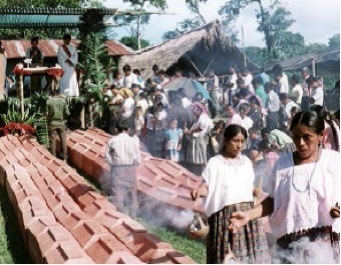 Burial of massacre victims in the Ixcán region, 1996. The reason given for the massacre was that the towns-people “supported the guerrilla movement.” This was often the reason given during the time of internal armed conflict, a reason masking genocidal and economic motives. 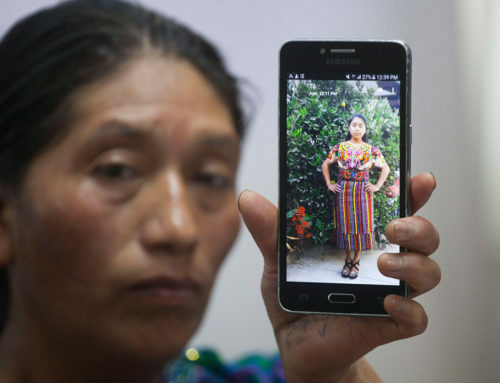 It was considered a genocide as Mayan villages were targeted and 84% of those killed or disappeared during the conflict were Indigenous Mayan Peoples. Economic motives are seen in the fact that the government planned the Xalalá hydroelectric project, a dam that will stop the Chixoy river and be used to generate electricity, in the 1970’s. Their plan was inhibited, in party, by the presence of communities along the river. The project was paused during the time of massacres and re-vamped in 2004 as a top national priority. 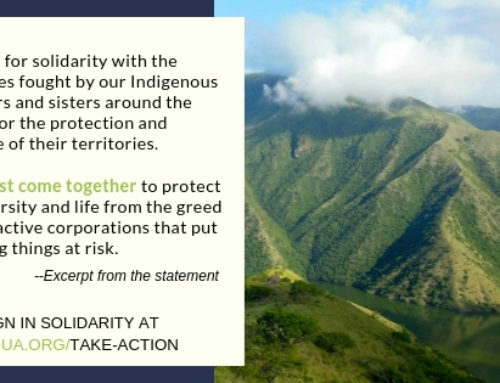 After the conflict, the survivors in Cobán-Ixcán were vulnerable from the loss of family, community and land and this vulnerability is now being exploited to gain access to their land and the Chixoy River for the benefit of multi-national companies and the elite class of Guatemala. “Question:” Why don’t they want clean energy and development? “Response:” If the Xalalá dam is built, over 50 communities around the Chixoy River will be either flooded or completely deprived access to water. “Q:” What about relocation and compensation? “R:” The Xalalá dam would be the second largest project in Guatemala next to the Chixoy hydroelectric project built in the 1980s. Those forcibly evicted from their homes and land at that time are still awaiting compensation. “Q:” What about the trickle down affect of development projects, won’t they benefit in the long run? “R:” The Xalalá project will create energy to be exported, not to be used locally. Those who benefit will be the elite who partner with international companies. These questions are usually the first to arrive in the minds of people from the Global North, but the implications of damming this river go far deeper than questions of logistics and money. The Indigenous Mayan peoples are the majority of the population in Guatemala with a culture and tradition alive as the river. The languages spoken in Cobán-Ixcán are principally Q’eqchi, Quiche’, Mam, and Spanish. The Mayan Cosmovision, or view of the world, emphasizes real connection to the Earth and the resources that are life for the Mayan peoples. The river is life, a life under threat. 2007 and 2010 – good-faith community consultations are held in Ixcán and Uspantán respectively. Over 18,000 community members, 90% of the population in the region, said NO to the project in these organized votes. 2008 – the community consultations, which are legal under International Laws of which Guatemala is a signatory, were ignored by the government and INDE started the project and began looking for investors. 2008-2013 – the Xalalá hydroelectric project is stalled by lack of investors due in part to the awareness raised by communities. November 2013 – a contract was signed by the Brazilian Company Intertechne Consultores SA to carry out the feasibility studies necessary for dam construction. April 2014 – the communities filed a injunction against contract in the Constitutional Court of Guatemala for illegality and irregularities. 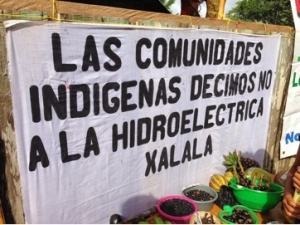 December 2014 – the National Electrification Institute (INDE) cancels the contract with Intertechne and declares that Xalalá is no longer a top national priority. The Constitutional Court has yet to give their decision on the legality of the contract and the people are suspicious of INDE’s change in tactics. INDE has been using any tactic available to weaken the resistance of the local peoples to the project. They attempt to buy out local leaders, seize land in any way they can, start community strife to divide peoples, and offer much needed resources only in return for support of the project. They are even suspected of flying helicopters over these post-conflict communities to scare them into submission. That is a part of the complex history of this region of Guatemala, so how does that translate to our work? 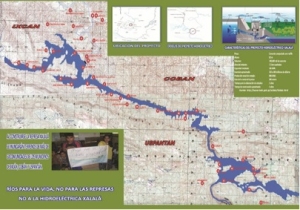 As international human rights accompaniers in this region, my partner and I will provide moral support and a dissuasive presence to the communities and individuals who survived massacres as well as support individuals and organizations struggling against the Xalalá hydroelectric project. They say that this region is the region of walking. From community to community we pack along our belongings and our notebooks, ready to listen to the voices of these powerful defenders and survivors, ready to share information globally to break the ugly silence and isolation in which oppression and violence thrive. I am so ready to learn from the undercurrent of strength that has sustained these people in their struggle, a struggle for the preservation of life, land, and water. In a world being drained of our human connection to nature, this is a struggle we all face together. 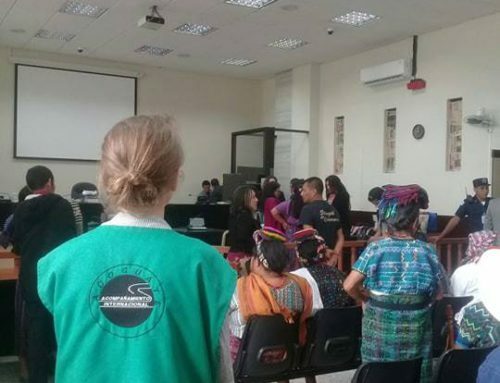 The implications of their work and survival will be felt through Guatemala and through our global struggle for natural resources and human rights. Thank you for reading this reflection, for taking time on your path to connect with me and with the people of Guatemala. 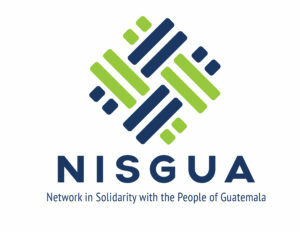 Please check out www.nisgua.org for updates.